Located on the beautiful Ring of Kerry. A fascinating insight into how people lived and worked. 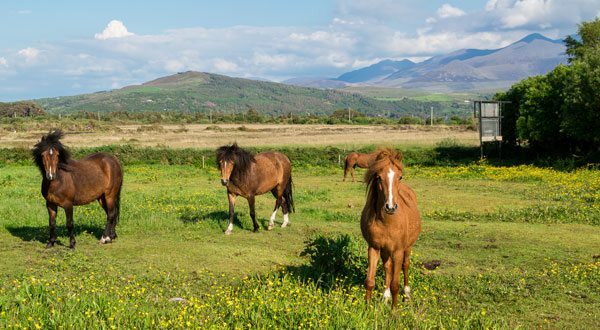 We are situated on The Famous Ring of Kerry. 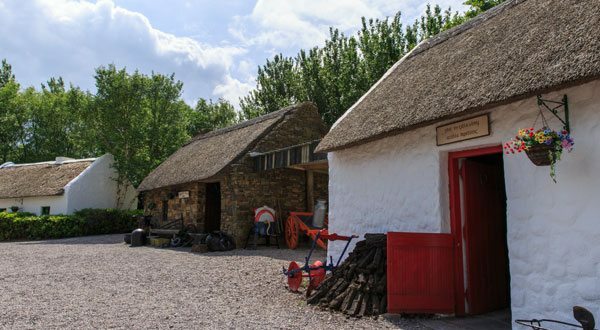 The Kerry Bog Village, located on the beautiful Ring of Kerry gives you a fascinating insight into how people lived and worked in Ireland in the late 19th Century. The village is the only one of its kind in Europe and is one of Kerry’s leading tourist attractions. Ideal for families and tourists with spacious parking. 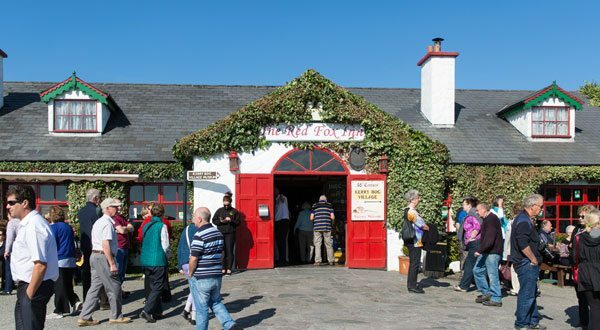 Step back in time and take a wonderful look at Ireland’s rural history, heritage and lifestyle. Visitors will experience the culture, customs and living conditions of our great ancestors through the famine years, and late 19th century. The village has period thatched cottages, fully furnished with authentic antiques, complete with sound effects and figurines. Outdoors, we display a fabulous array of rural farm equipment, used by turf cutters and farmers of the time period. We took a coach here. The village was fascinating and a lot of attention had been paid to detail. Just wish we had been able to stay longer as there was so much to see and learn about! We visited the museum as part of a National Holidays coach trip to Kerry. It’s very interesting, plenty to see, only €5 and there’s a pub next door where you can get a lovely Irish coffee. And there are two gorgeous Irish Wolfhounds on site. The Kerry Bog Village is absolutely fascinating and well worth a visit. It is an assembly of original Irish dwellings reconstructed on this site together with details of the original occupiers. Good place to visit and see how life used to be in Ireland in a typical bog village. Lots of artefacts. I loved this cute little village! Our bus stopped here for about a half hour for us to visit. I walked into a few of the little homes inside and it was so interesting to see how people used to live. Everything looks incredibly real.